We are greatly looking forward to All Occasions Photo Booths (alloccasionsphotobooths.co.uk) attending our 25th birthday party on the 23 June from 2-5pm at Wodson Park Sports Centre, Ware. They will be bringing their wonderful magic selfie mirror and massive range of props for you to capture your special moments at our birthday party! THANK YOU ALL OCCASIONS TEAM! Thank you to all who attended our 24th Annual General Meeting last night. 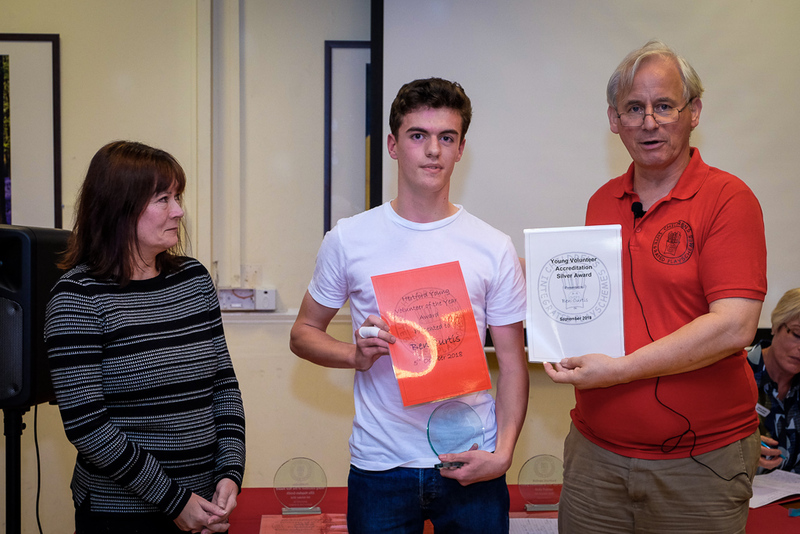 It was a great evening during which we celebrated a great 2017/18 at the charity. 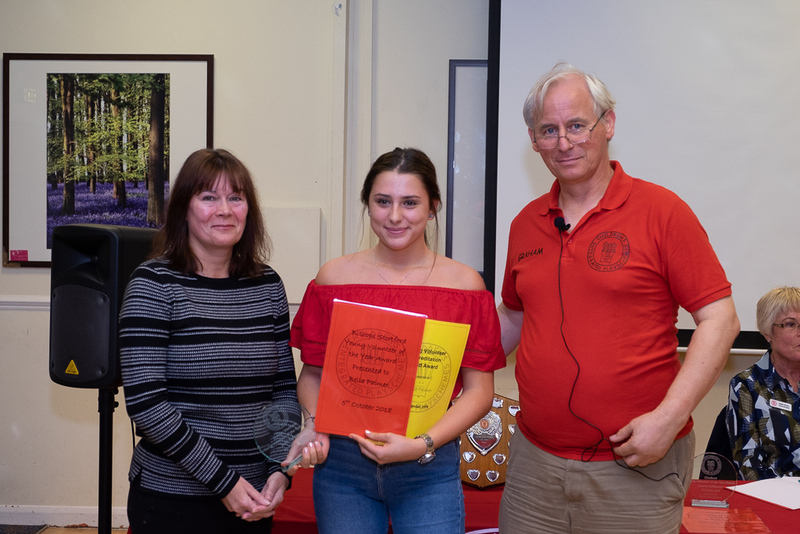 Lottie Hallett – our Jenni Pyer Volunteer of the Year award winner. You can read the Chairs Report for the year, here: AGM Chairs Report 2018. 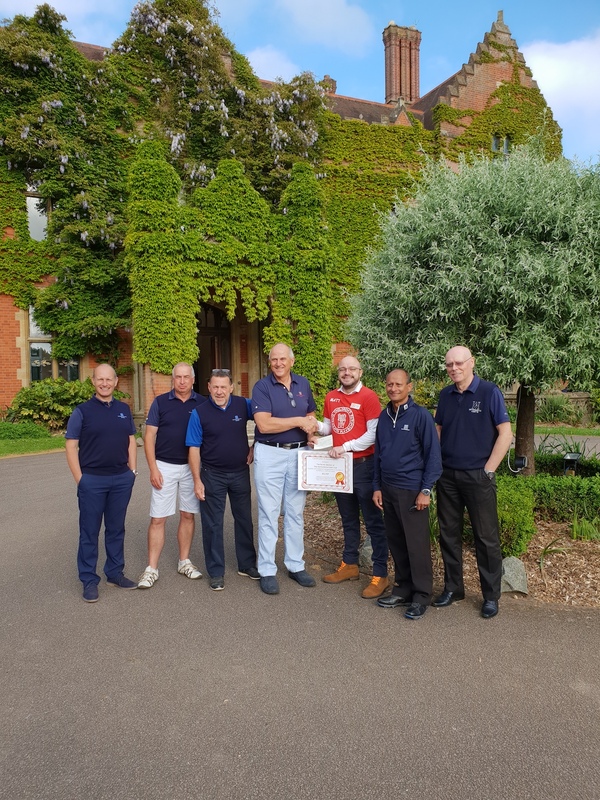 A big thank you to everyone involved with CHIPS for another fantastic year. CHIPS would like to pass on our MASSIVE thanks to GlaxoSmithKline and to all the staff at their Ware site. 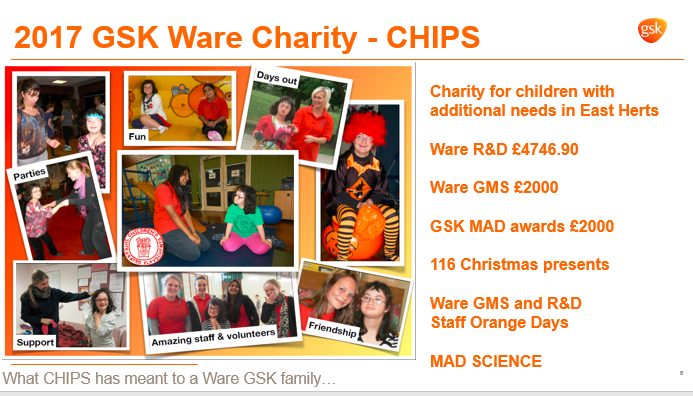 Both GSK Ware GMS and GSK Ware R&D choose CHIPS as their local charity to support for 2017, raising a huge amount of money for us, over £8,000(!) but also providing some utterly brilliant MAD SCIENCE sessions at our schemes too! The support didn’t end there either, the staff also donated an absolutely incredible 116 Christmas presents for our young people at our annual Christmas parties. 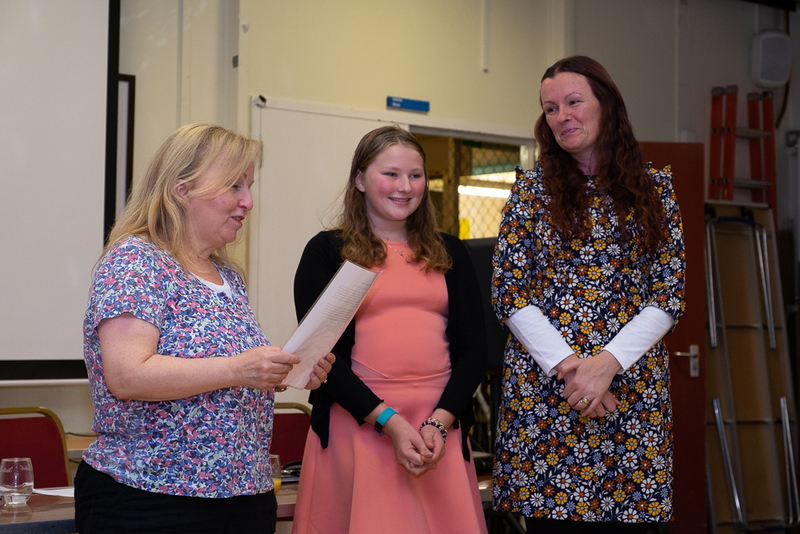 On behalf of everyone here at CHIPS, thank you SO much to Rhi, Teresa, Kathy, Pam and all of their colleagues for all their kindness to CHIPS over the past year. You truly are CHIPS Superstars! 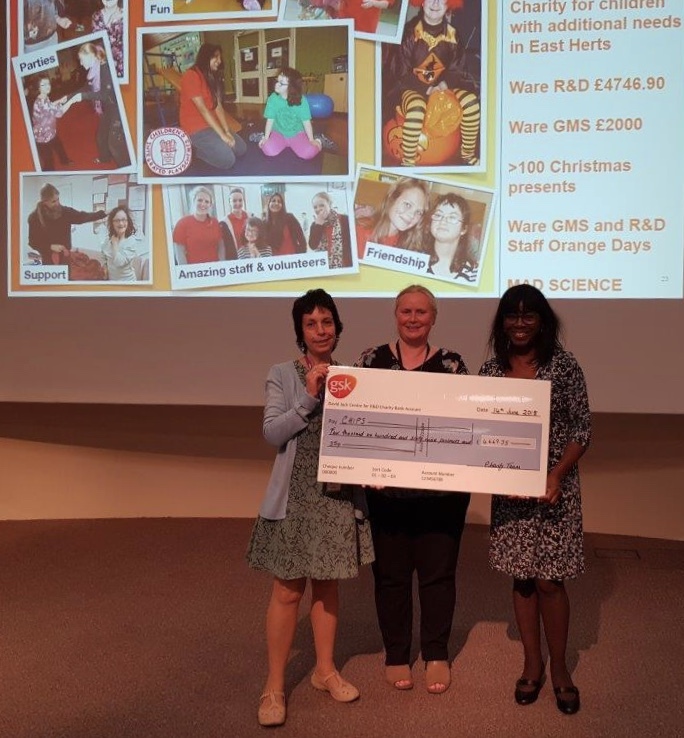 Pam Shapiro GSK Ware R&D and CHIPS family, Rhiannon Lowe GSK employee and CHIPS Trustee and Susan Fayinka GSK Ware R&D Head of site. 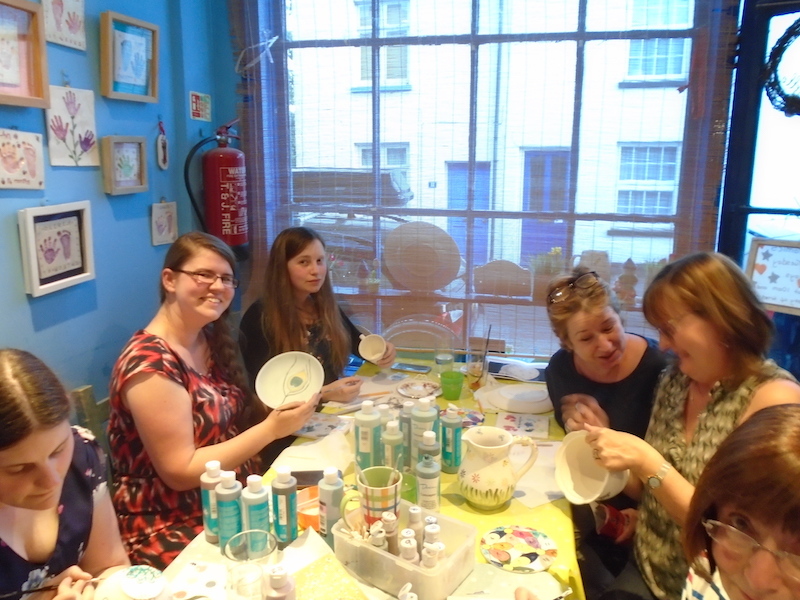 £287.50 raised, and a lot of wonderful art created! 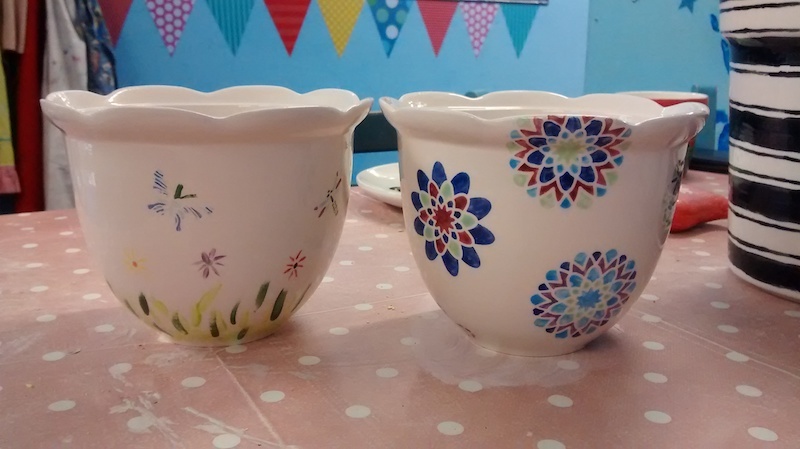 Thank you to the team at Manic Ceramics and everyone who attended. 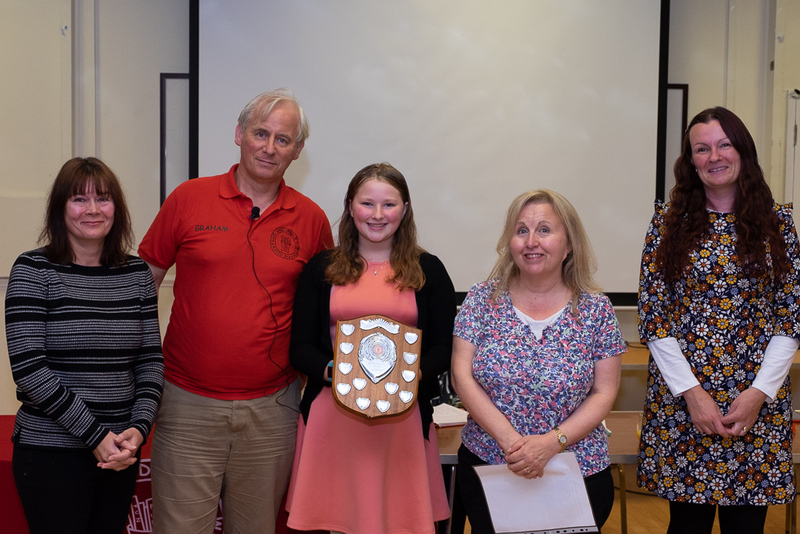 A wonderful evening with a brilliant quizmaster! 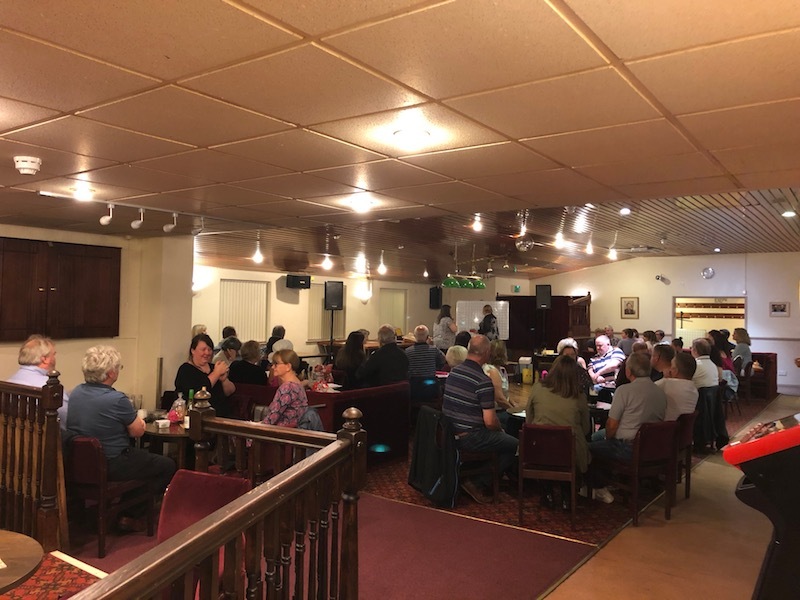 Thank you to the Quizmaster, Kerry and team for organising and raising £470 for CHIPS! 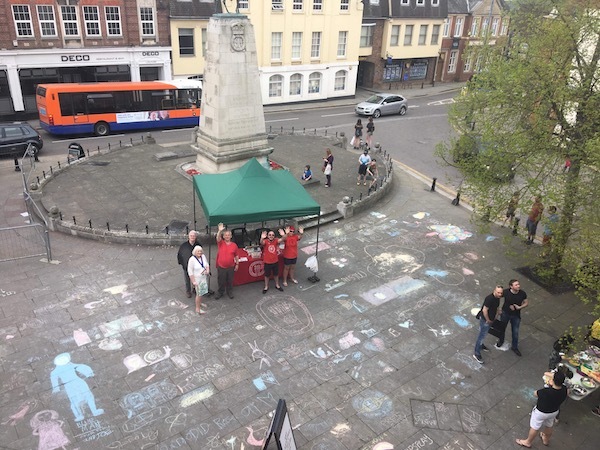 A brilliant arts festival in Hertford – the town was painted (in chalk!). 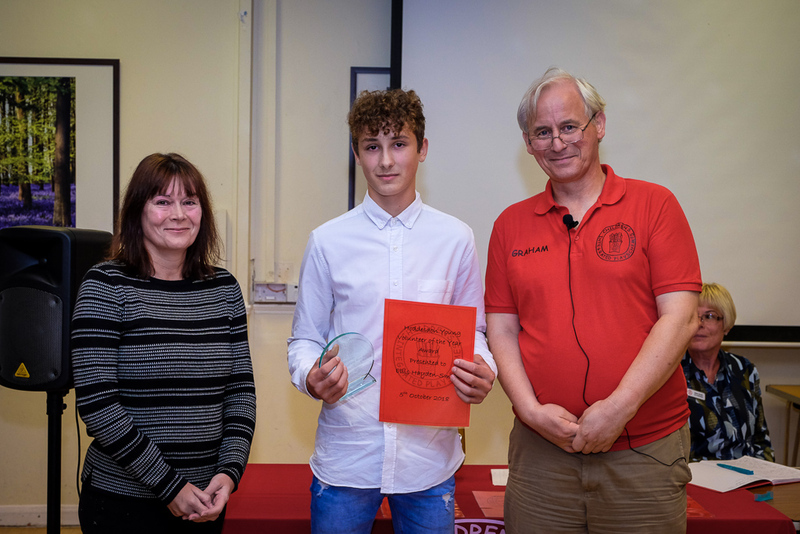 Thank you to the youngsters who took part! A MASSIVE thank you to Georgina Lacey who successfully ran the London Marathon for CHIPS, and raised an utterly wonderful £2596 for us! What a superstar! 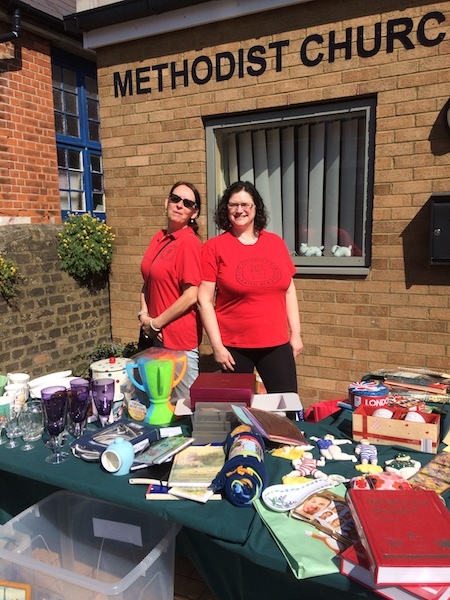 Thank you to all the people who came to support our coffee morning, Hertford Methodist Church team for their amazing coffee making and hospitality, and to all the CHIPS volunteers too! Thank you to Ware Scouts for inviting CHIPS Chair Graham Nickson to their St Georges Day Parade. Prudential RideLondon-Surrey is perhaps the biggest event in the UK cycling calendar, and places are hard to come by. The great news is that we’ve got two! Perfect for you and a friend to take part in the challenging 100km ride from Surrey into London on the 29 July 2018, finishing on the Mall! You would need to be prepared to raise a minimum of £500 per entry place, but don’t worry – we’ll help you, with online fundraising tools, and promotion of your ride. 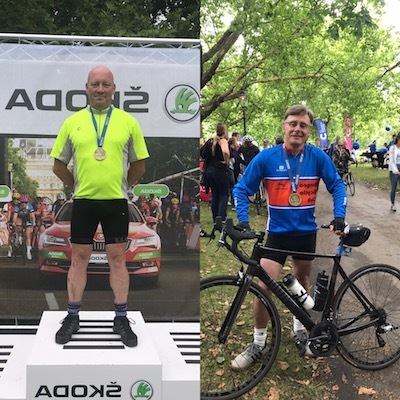 CHIPS is a fantastic cause, and by cycling for us you’ll be making a real difference to the lives of those who truly need our help with your Prudential RideLondon journey. 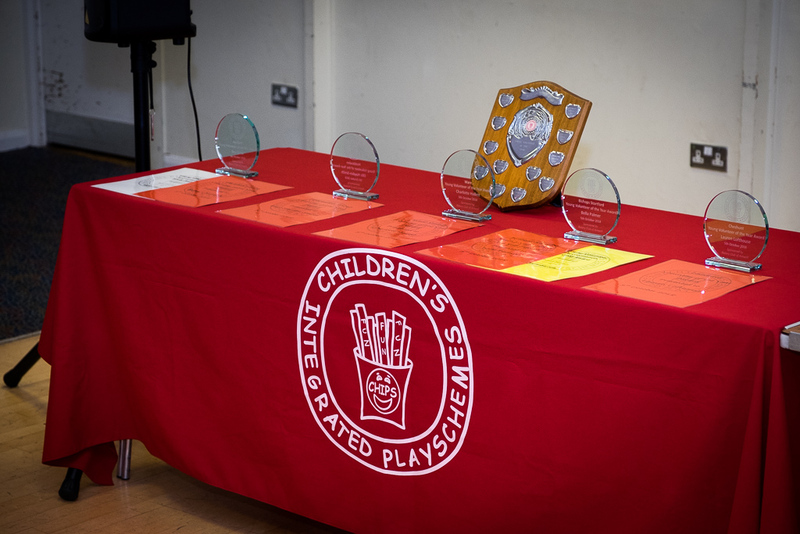 Please drop us a line on 01992 534664 or email info@chipsplay.org if you are interested. Paul Smith and Stephen Wright rode for us last year and raised a fantastic £2500!